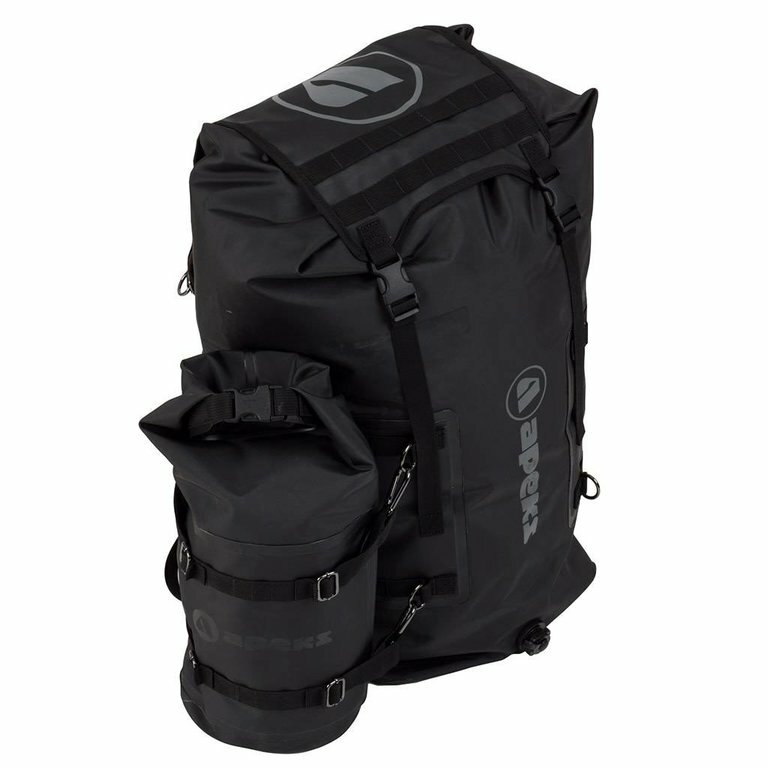 The Dry12L Bag is mainly used as an attachment to either the Dry100L or the Dry75L, and features four stainless steel carabiners that attach to D-rings on the Dry100L. It conveniently attaches to the four locations on the Dry75L, adding up to 48 litres of extra room. 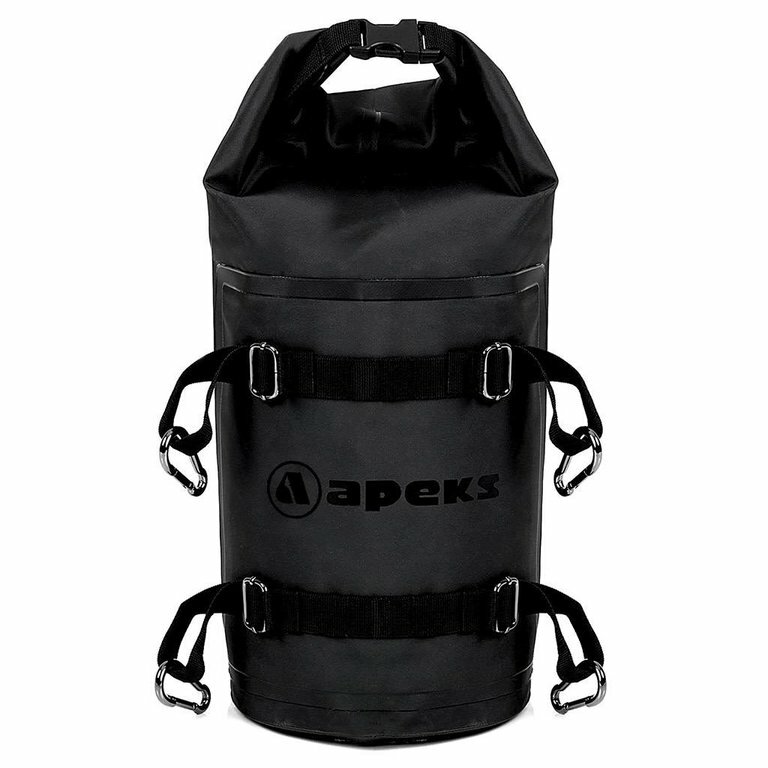 This waterproof roll-top opening bag is easily accessible, and the adjustable straps make it easy to attach to the boat, other bags, or to use as a carry-on.